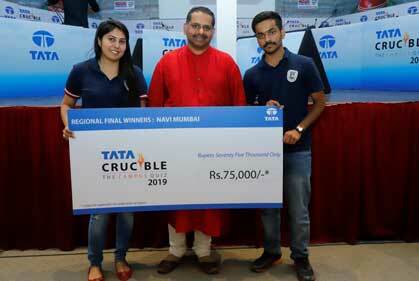 Navi Mumbai: Astha Bishnoi and Himanshu Batra from NMIMS, Kharghar won the Navi Mumbai edition of Tata Crucible Campus Quiz 2019. A total of 181 teams battled it out in the city level finale for the top honours, held at the ITM Group of Institutions. Astha Bishnoi and Himanshu Batra took home a cash prize of Rs. 75,000* and will compete in the zonal round to qualify for the national finale. Prof. J. 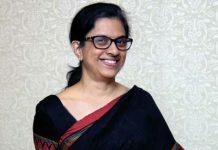 A. Bhavsar, Chief Information Officer (CIO), ITM Group of Institutions, Navi Mumbai, was the Chief Guest at the finale.